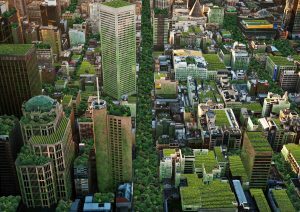 The City of Melbourne is attempting to improve their climate resilience with a comprehensive urban forest strategy. Image by Anton Malishev. Cities around the world are facing a great variety of challenges and threats, ranging from rapid growth and social inequality to demographic transitions, climate change, terrorism, and war. Resilience is often presented as the answer, but the term remains vague and difficult to operationalize. I recently had the chance to confront Joshua Grigsby (an academic working at the University of Vienna, where he was my teacher for one semester) with all my questions about the nature of urban resilience, and our conversation is presented below. VH: We are told that cities have to become increasingly resilient in order to deal with a huge variety of threats. But what does that mean? JG: Definitions of urban resilience usually borrow from either engineering resilience or ecological resilience. The former emphasizes the ability to endure stresses or shocks. Think of how a skyscraper sways to endure high winds without actually being changed by them. Ecological resilience, in contrast, is the ability to adapt to stresses and shocks, to change in order to endure. Think of how plants respond to drought by producing fewer flowers. For cities, this could refer to responses to, for example, extreme weather or climate change, the loss of a key economic sector, the adoption of technological innovations, or an aging population. VH: So urban resilience is a combination of engineering and ecosystem resilience? JG: Well, urban resilience requires a combination of the two. Resilience is a relational concept; a company or an ecosystem or a city displays generalized resilience only when it is resilient in the face of specific, situated threats. Resilience is contextualised sustainability. And that makes it difficult to define and even more difficult to operationalize. Priorities have to be identified and that depends on a lot of messy, interconnected, contextual factors. Look at The City Resilience Index, for example, which attempts to provide a universal framework for assessing urban resilience. The broad arguments make great sense, but the more specific you get, the less universal the fit. Some of the indicators simply don’t make much sense for some cities, while other indicators missing from the framework may be crucial. VH: How would you conceptualise urban resilience instead? JG: Partly by expanding the definition and including both general philosophical and context-dependent elements. To me, resilience is about accepting multiple geometries. Things tend to move in cycles of birth, growth, maturation, decline, and death. 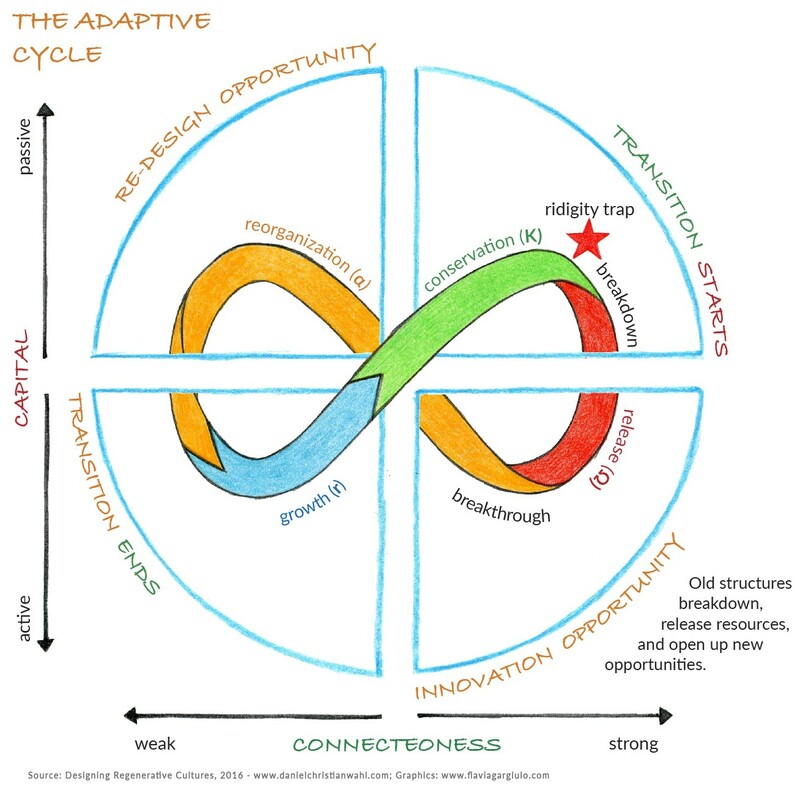 The adaptive cycle is a powerful illustration of this idea. It is a helpful model because its infinite loop is such a strong counterpoint to the geometry of linear or exponential growth that we have aspired to for the past decades. VH: Does that mean that resilience is more about our mindset than it is about engineering? JG: I’d say that while engineering has an important role to play, resilience is more about recognising and accepting certain limitations and changing content to fit dynamic contexts. I’ve read hundreds of academic papers on sustainability and resilience, and in the vast majority of them, maybe 80% or more, the authors conclude that it all depends on the way we think. On the values we espouse, the worldviews that emerge from those values and the resulting logic that governs our actions. The logic that came out of the enlightenment and later out of modernism, the belief in continuous progress and the perfectibility of humans and human works, the extrication of humanity from nature – this way of thinking doesn’t play well with the facts that we live on a finite planet and that so much of what we do has long-term impacts in ways we may never be able to predict. This is what I mean when I say that content needs to fit context. The idea of infinite growth is a form of content, as are the behaviors encouraged by it. Since economies are simply systems by which resources are allocated, the economic context can be described by the qualities of the resources that are at the base of that system. It’s been said a million times before, but a policy of infinite growth (content) based on the exploitation of finite resources (context) is not exactly a recipe for resilience. 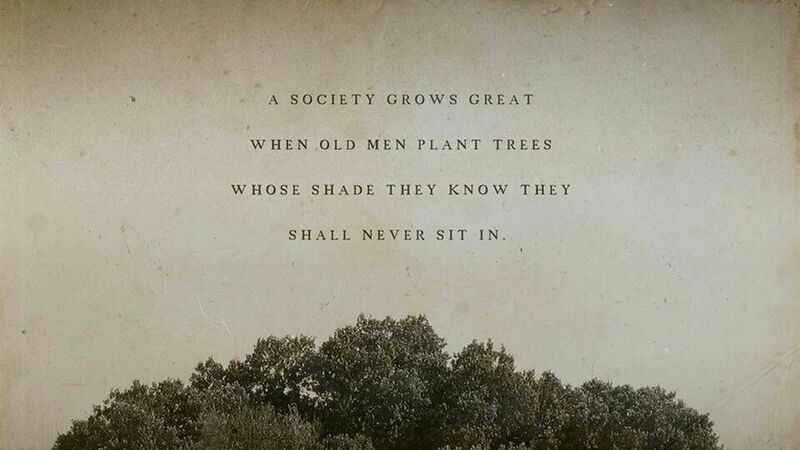 We need to think much more in terms of adaptive capacity. JG: I disagree. Our thinking directs our actions, and our actions are what cause many of the “natural” and social catastrophes that we are experiencing at the moment or otherwise lead us to put ourselves in vulnerable situations. It’s a goofy analogy, but if the Titanic had been more nimble, if it had a greater capacity to adapt to changing conditions, especially foreseeable ones, then it might not have hit that iceberg. How we respond to a flood or earthquake depends greatly on how we perceive the threat and the possible options available to us, on how we think. Yes, we do need good engineering solutions for dealing with what has become unavoidable and we need to take proper action when disaster strikes, but there’s no way to prepare for every eventuality. A certain amount of circumspection should temper our thinking so that we don’t find ourselves in the position of requiring heroic feats to simply maintain the status quo. VH: So what would a philosophy of resilience look like? JG: James Carse wrote a great book called Finite and Infinite Games. Carse presents a vision of life as play in which everything we do can be considered a part of one of two types of games. There are finite games, which we play to win. The purpose of a finite game is to bring about the end of the game. Somebody wins and the game is over. Infinite games, on the other hand, are games whose sole purpose is to be kept going. There is no winning, because winning means the end of the game, so the goal changes. The difference between these two types is crucial. My impression is that we often mistake the two. The resilience and sustainability of social systems, which themselves exist within and are dependent on ecological systems, is an infinite game. The simple question of “what is the purpose of this game, to win or to keep playing?” makes a lot of sense to me as a foundation for resilience thinking. VH: Limiting ourselves would increase our chances of playing the infinite game? JG: Like so many things, it depends. Sustainability is the ultimate infinite game and resilience is about recognising and respecting that, in order to keep playing, there will be times when the rules of the game change. Infinite games are like jazz, with a dynamic relationship between content and context. When the context changes, we need to adapt our content, to be like water as the Taoists would say. If “winning” means the pursuit of content that is no longer aligned with existing context, whether this refers to the profit of private companies, the GDP of nations, the height of skyscrapers, the production of consumer goods, or the reliance on fossil fuels, then it isn’t worth pursuing. VH: Changing our mindset as you suggest would have radical implications for the way we live. JG: That’s exactly the point. Economist Kenneth Lux wrote a great article back in 2002 called “The Failure of the Profit Motive”. Lux asserted that the profit motive fails to compel us to create and maintain the conditions necessary for shared human well-being. Individual profit trumps societal needs and eventually brings about the downfall of the system it depends on. So he proposed two things in a sort of thought experiment to promote the motivational principle of the common good. First, we should create a maximum wage that is a ratio of the minimum wage. Second, we should turn all companies in the world into non-profits. Considering the way how the world works today these proposals are radical indeed. But if we really espouse values like sustainability, equal opportunities or social justice – things that we talk about all the time as if they are fundamental values – then we need to create economic and political and legal institutions that support them instead of continuing to do quite the opposite. VH: You mentioned the City Resilience Index, a tool for evaluating the resilience of any one city and for comparing various cities with regards to questions of resilience. The index lists 52 indicators for measuring urban resilience. 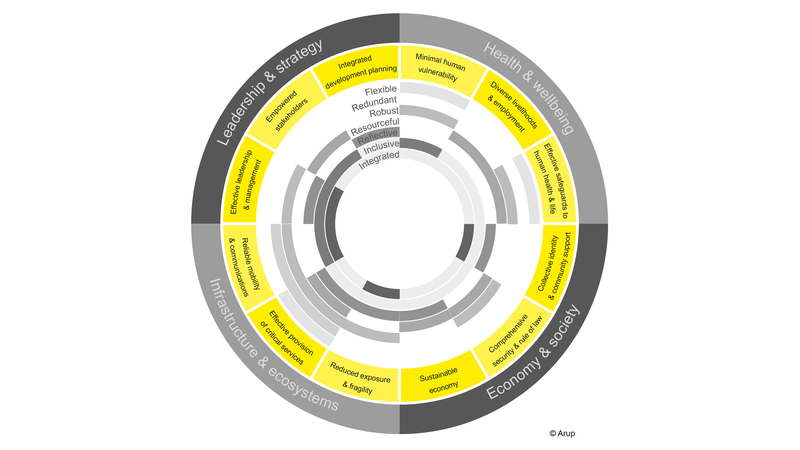 These indicators are related to 12 goals which belong to four overarching dimensions of urban resilience. What is your opinion about this index? JG: I become skeptical whenever a private company, whose prime goal is profit-making, becomes engaged with public well-being. I am not saying that ARUP de facto does not care about the public, but as a private company their main interest is to increase profits and this can lead to conflicts of interest when it comes to public matters such as urban resilience. I just have my doubts that people and companies whose work is profit-oriented are likely to value the needs of the most vulnerable when those two things conflict. With regards to the indicators, a lot of it makes sense and it is much better to have some kind of index like this to promote resilience thinking than not. Still, some of the indicators, I think, can be questioned. Consider for instance the indicator called “strong integration with regional and global economies” which, according to the publishers, contributes to a “sustainable economy” which is one of the 12 goals. This indicator basically says that the more integrated the economy of a city, the more resilient this city will be. That isn’t necessarily so. VH: Why would economic integration be a bad thing? JG: A strong economic integration undoubtedly reduces some threats such as armed conflicts. Countries are less likely to start a war with their business partners. The European Union was essentially created with that logic in mind and it has achieved a remarkable degree of peace on a continent historically ravaged by war. But integration and interdependence may increase other risks. For example, global economies depend on the fast transportation of huge quantities of products and materials, and 95% of transport energy currently comes from oil. Since there is no near-future replacement for oil for transport energy, “being strongly integrated with” can become a synonym for “being dependent on”. Strong global economic integration can make a country or city or company less resilient to oil shocks and policies aimed at mitigating climate change and less able to take independent action to increase adaptive capacity. Don’t get me wrong, I don’t mean to dismiss the index or claim that corporations can’t be part of the solution. But, again, the thinking that serves as a foundation for many well-intentioned endeavors and that justifies, for example, indicators of resilience, should not escape critical evaluation. VH: If you would write your own urban resilience index, which indicators would be on the top of your list? JG: Probably the stories we tell ourselves about the future. Narratives shape the way we interpret the nature of the world and our place within it. The more that prevailing narratives are aligned with physical reality, especially regarding complexity and the longue durée, the more resilience is likely to be baked into them. For example, the contemporary grand narrative of progress tends to support a faster-is-better mentality. This despite the raft of research – see Daniel Kahneman – indicating that speeding up the decision-making process makes us more likely to make poor decisions and less likely to be able to think in path-breaking ways. I would value characteristics in cities such as simplicity, durability, flexibility, and redundancy. Joseph Tainter has written about how we tend to use complexity as a problem solving tool, and how as social organization becomes more complex the energetic costs increase. His main thesis in The Collapse of Complex Societies is that complexity is useful up to a certain point, beyond which the costs of maintaining complexity increasingly outweigh any benefit until a complex society eventually collapses under the burden of paying its own operating costs, so to say. In Tainter’s view, if increasing complexity is necessary for problem solving, then simplification reduces a society’s ability to solve problems. I agree with him in principle, but with the enormous caveat that the need for increasing complexity hinges on two things: the identification of something as a problem and the acceptance that human intervention is necessary to solve it. Conventional economic wisdom tells us that growth is good and that GDP can help measure growth, and so if GDP is not growing quickly enough we consider that to be a problem, we organize interventions to solve the problem, and in so doing we increase complexity in the form of policy, monitoring, administration, etc. But many of the things we identify as problems may not truly be problems. And for some things that actually are problems, intervening may cause more harm than good. Samuel Alexander has written a lot on this, and I’m mostly just paraphrasing him here. VH: We are still speaking in rather abstract terms. How does resilience look from street level? JG: Abstraction is the risk you run when trying to speak in universal terms about something that is context-dependent. 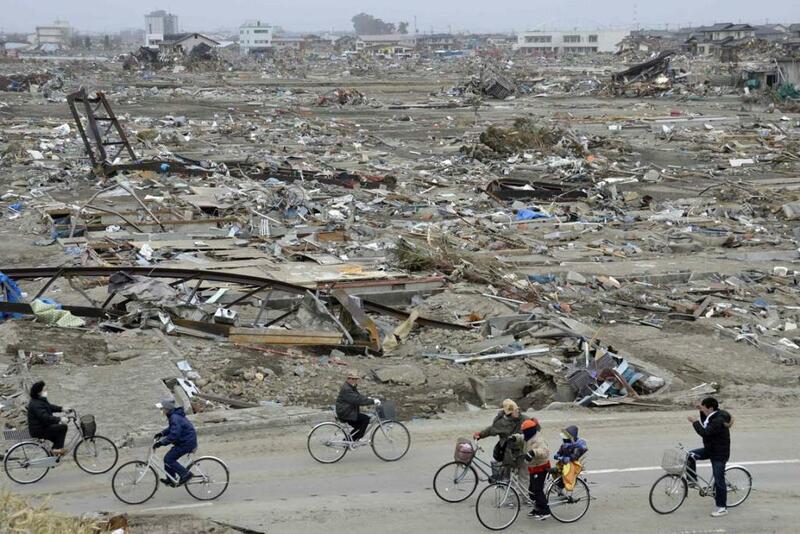 But I think that truly resilient urban systems must be able to handle FUBAR situations. FUBAR is an acronym used in the US military. It may actually be derived from the German “furchtbar” but it stands for Fucked Up Beyond All Recognition. A FUBAR situation is a worst case scenario. Think of Berlin in 1945 or Kobe after the earthquake in 1995. The question is, what functions when nothing works? What kind of systems emerge when “normal” systems fall apart? These things are FUBAR-proof and therefore extremely resilient. VH: Could you give an example for such a system? JG: Let’s stick with the example of an earthquake. Roads are damaged, traffic signals are out, electric tram lines are down, subway tunnels are unsafe. So you walk or use a bicycle. Walking and cycling are simpler and more flexible modes of transport. The infrastructure that suits them is more varied, supports multiple types of uses, costs less, requires no central control, and can better integrate urban social practices. Any resilient urban transport system would place considerable value on them. VH: You make it sound as if resilience was primarily a matter of low-tech urban infrastructure. What is the role of high-tech products? JG: I really am a big fan of simple, flexible, durable designs. When something works there may be no need for further innovation. But of course I also acknowledge that modern technology has had an enormous impact on the quality of our lives. It has enabled us to reduce child mortality, to fight diseases, to bridge great distances physically and socially, and so on. What I take issue with is the logic of innovation for its own sake, which is really the logic of capitalist consumerism. In a way, technology works just like wealth. When you are poor, every extra Euro in your pocket will improve your life. Suddenly you can afford a decent home, good food, visiting other places and so on. But once you have reached a certain level this effect decreases drastically. You experience diminishing returns on each further investment. I think that it is the same with technology. For instance, I remember a (now old) advertisement for a tablet showing how you could write on it just like on paper. Is the gain I get from this new device that has required such an enormous amount of investment, work, and resources – especially of extraordinarily limited resources like rare earths – to do something I can already do with a much simpler product really worth it? VH: Would you say the same about, for example, autonomous vehicles? JG: Autonomous vehicles are, to me, a bit absurd. Removing the driver doesn’t remove the cars, it just eliminates low-skilled jobs and puts even more demand on limited resources to create a new consumer object without changing the automobility system in any meaningful way. In terms of technology in general, however, there may be no simple, straightforward answer. I am just saying that more technology is not by default a good thing. It all depends on what its requirements are, how it is used, and what the consequences of its production and use are. Technology is deployed overwhelmingly to increase efficiency, but efficiency gains tend to be negated by more widespread adoption in what is called the Jevons Paradox. You make something more efficient, more people use it, so consumption still increases. If new technologies can actually reverse our relationship with the environment from extractive to integrative and productive while allowing us to improve wellbeing and reduce social inequality, then I’m all for them. It is often a question of long term versus short term. Many new products and services are quite helpful in the short term. But we have to ask ourselves whether we are sacrificing the long term. We could make a great argument that getting rid of many modern technologies is a much better way to ensure a long term sustainable future than to place our bets on the potentials of technologies that have yet to be developed. But of course the cost in the short term would be devastating. The key is to find the right balance, to be wise about which limits to exceed and which to accept. The question has become a cliché, but how do we meet the needs of today without sacrificing the future? Urban resilience, then, involves assessing what our needs and values are, how both shape the ways we think, move, build, and behave, and how those needs and values can respond as the world around us changes.